You are currently browsing the category archive for the ‘Redondo Beach’ category. Thankfully there is neither salmon nor pineapple anywhere on the premises, but there are outdoor tables and a small parking lot. Peak times mean a line out the door, but everyone who works or comes here is friendly (island attitude, decor, and music permeate the entire place), so the wait seems short even at noon. 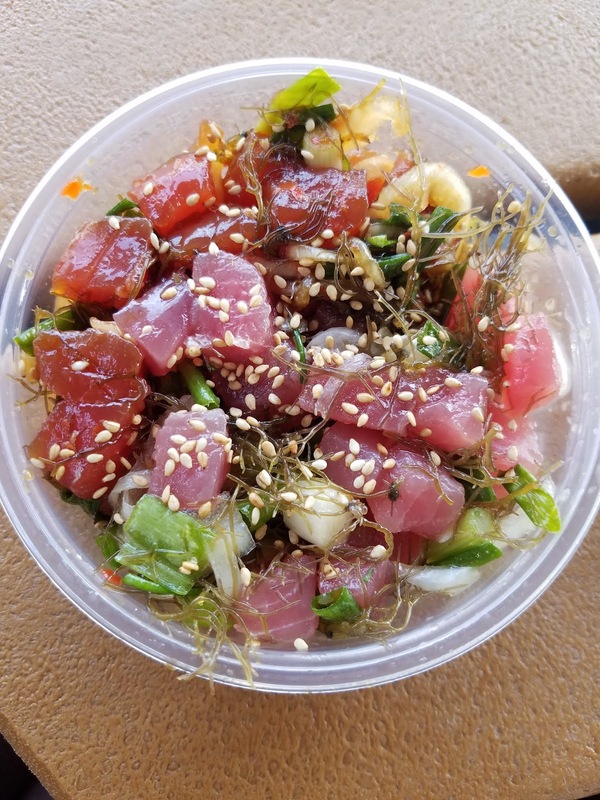 For a mainland place, you get a nice selection of choices, and you can mix two kinds of poke even for the regular sized bowl or the smallest container, giving you an out if you can’t decide. I miss not having octopus as a choice, but I know most people in Los Angeles would not order it 😦 Prices are incredible for the quality and quantity; around $10 including tax and tip for all the servings you see below, and the regular size always feeds me for 2 meals! 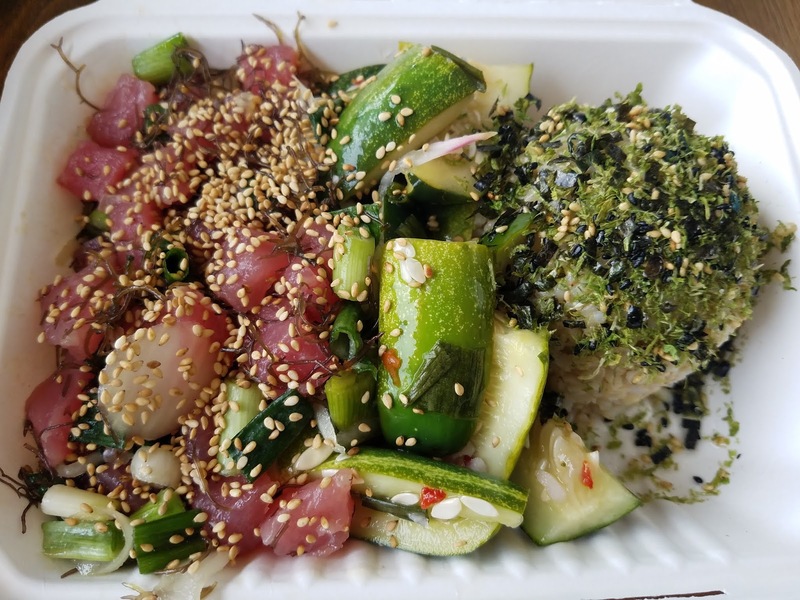 This is the regular size Original poke with homemade spicy cucumbers and brown rice covered in sesame seeds and furikake. This combo is great if you don’t want spicy poke, but like a side highlight of crunchy cucumbers with some zing. If you want no spice at all, get the shoyu, with half edamame and half seaweed sides (your choice of brown or white rice). 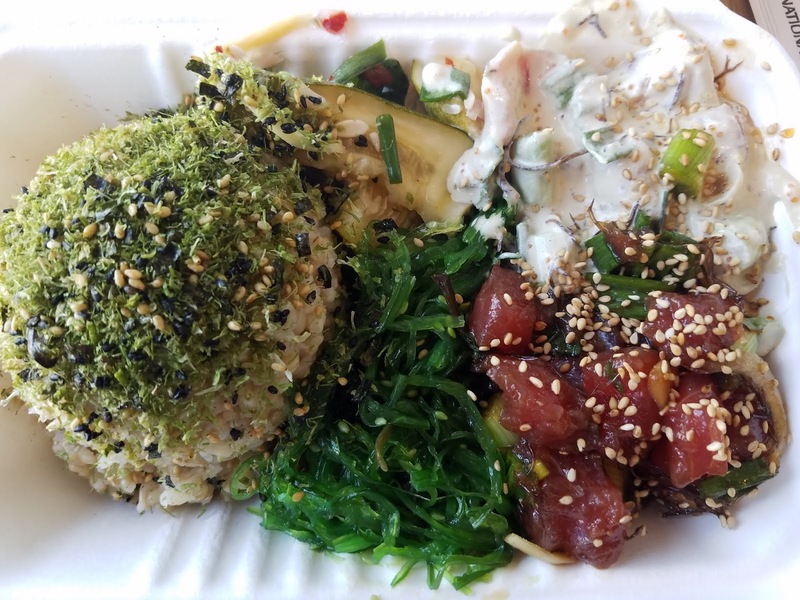 A fellow instagrammer loves the wasabi poke, so I tried it with half shoyu poke, and half cucumber, half seaweed. It was such a powerful sinus clearer that I needed three napkins! My favorite is the Hawaiian Chili Pepper, with half seaweed, half cucumber side and brown rice. The heat is mellower than the wasabi, but potent enough for me to say that only heat lovers should order this. 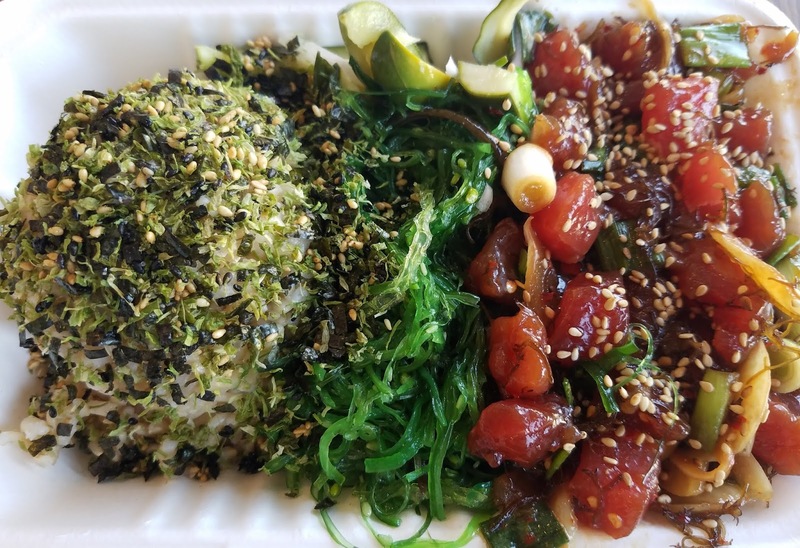 Everything is served in to go containers as if they know you won’t be able to finish your meal 🙂 But I intentionally got some original and Hawaiian Chili Pepper to go…I couldn’t resist and ate most of the Hawaiian Chili Pepper before I got the container home! 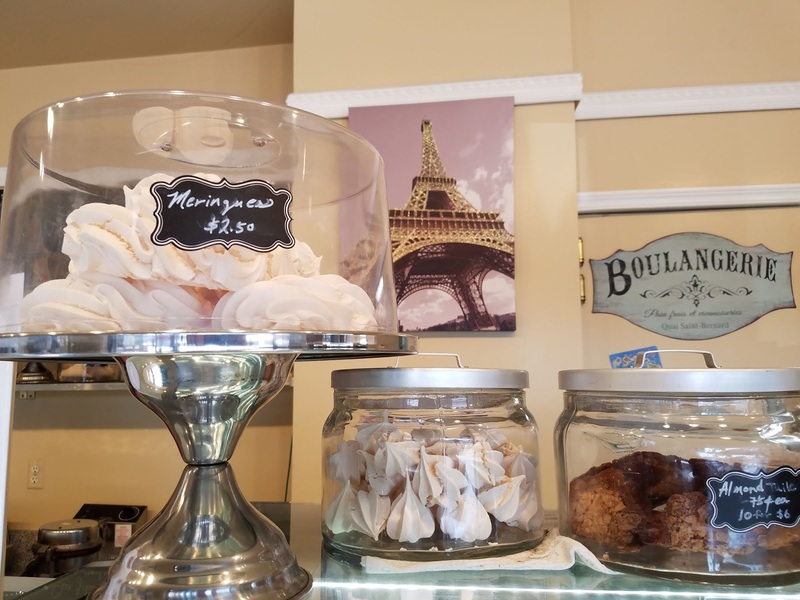 Finding a great French pâtisserie in Los Angeles near the beach is equivalent to finding a gold nugget in the sand, but I did! 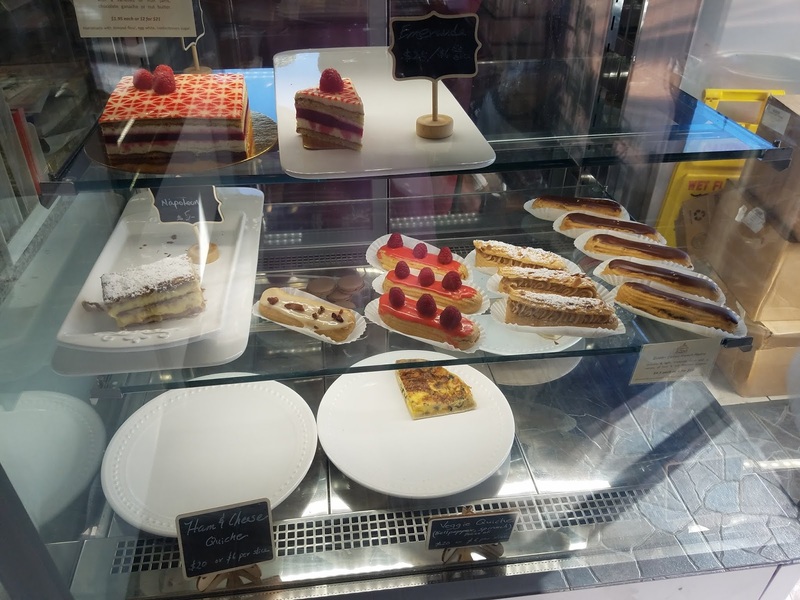 Desserts by Patrick in Redondo Beach is a French jewel sparkling with colorful gelato flavors, light airy meringues that melt in your mouth, and pastries ranging from chocolate ganache to raspberry pistachio cakes. Everything is made by Patrick, who is usually behind the counter baking or making the gorgeous offerings while listening to Radio Monaco as he works. He’s been here 3 years, but coming from France, he’s been working at his craft since he was a teenager, so the deft skills honed over years of practice, can be tasted in every bite of his handiwork. Stepping into his small shop, you could imagine it is in the South of France near the sea, with classics in the cases that are sometimes empty from the locals who have come in for sweet treats. I’ve learned to go early and buy more than one thing to be sure I always have something sweet to give or share. 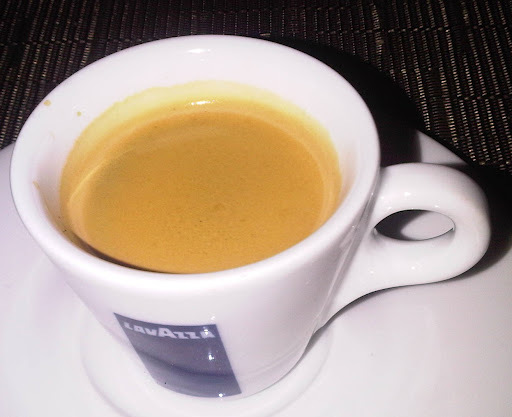 The flavors of the gelato and macarons change, but I bet that you will find at least a few that will tempt you. 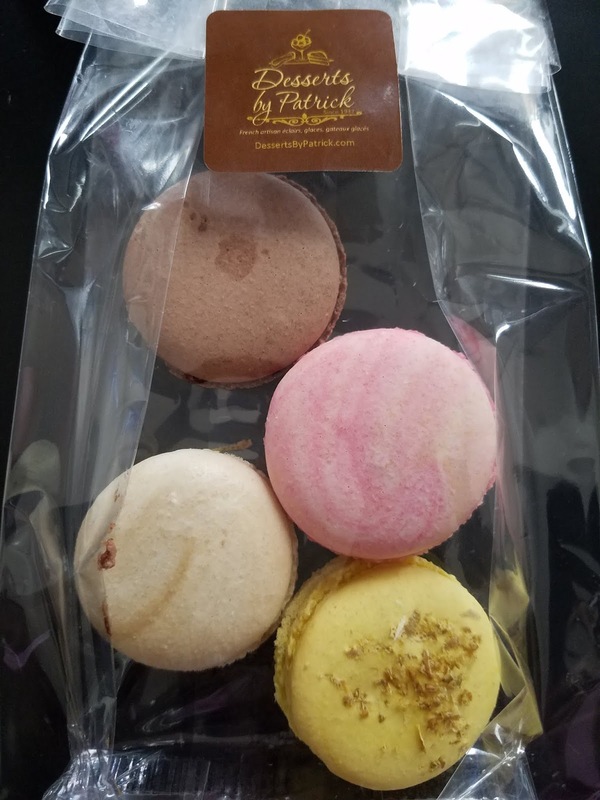 I shared some macarons with someone who had never had good ones; chocolate, lemon, caramel, and rose. 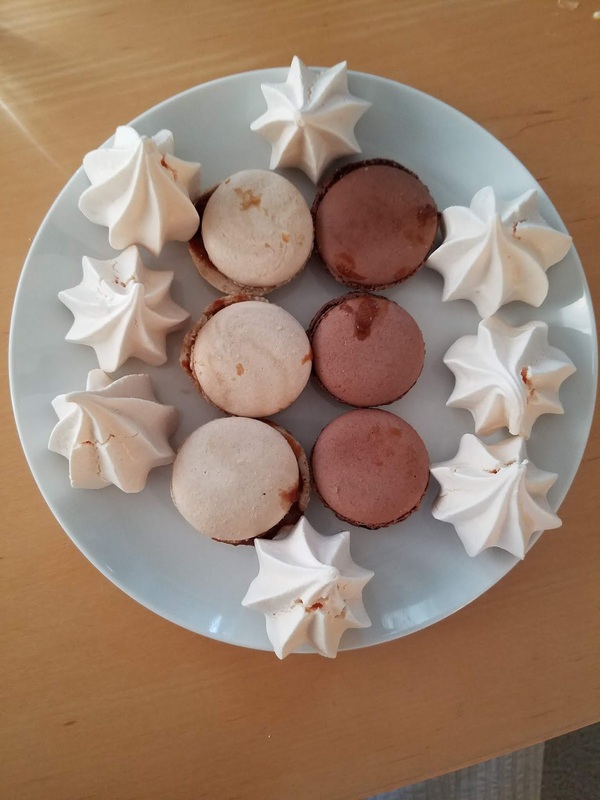 She declared that she decided she liked macarons after tasting these 🙂 Patrick was experimenting with peanut butter and I got one later to give to a peanut butter fan who wondered why I only got one! Depending on the day and time of day that you visit, the case may be more or less empty, so plan accordingly for more choices. Probably my favorite dessert is the chocolate ganache, which was a bit smushed during transport, but tasted like rich chocolate heaven. 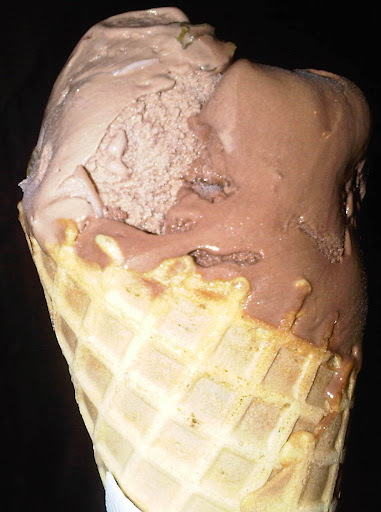 I especially appreciated the use of great chocolate and restraint in the amount of sugar used. 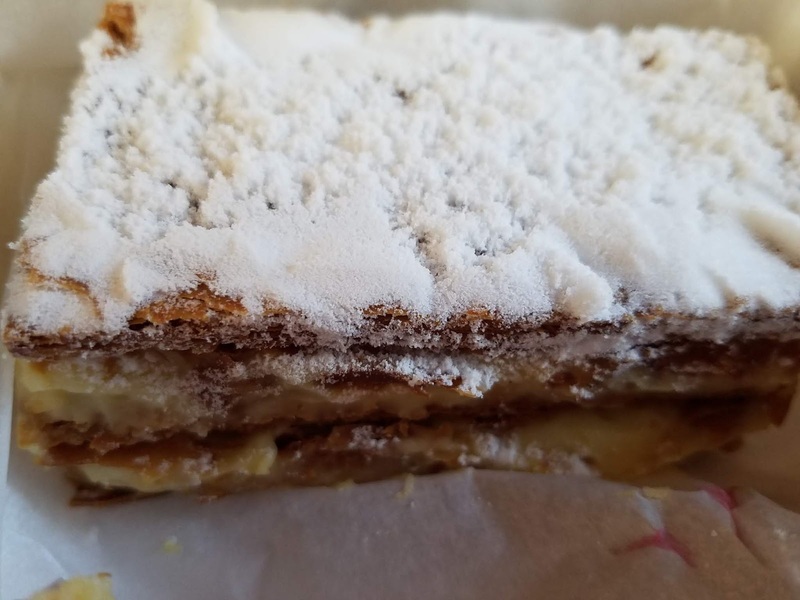 The Napoleon used a vanilla custard that was so good I actually enjoyed it as much as the flaky layers. 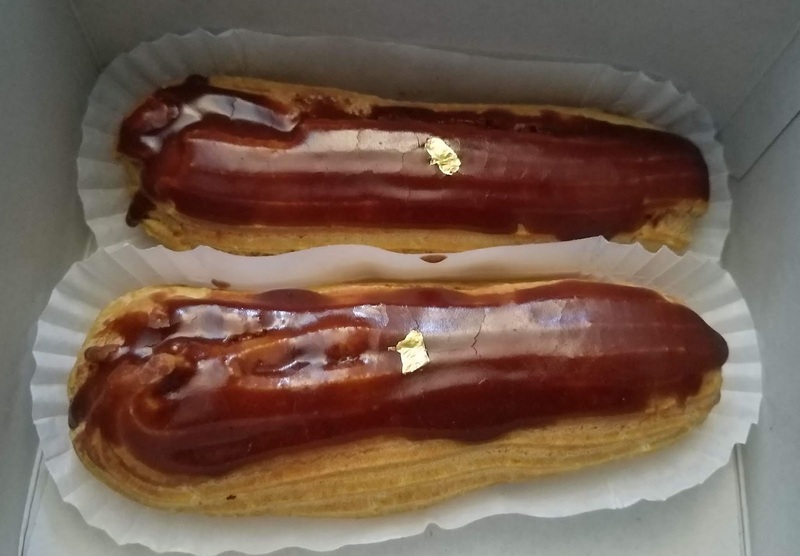 One of the days I went later in the afternoon, the only chocolate left were these two éclairs, so I *had* to settle for them. 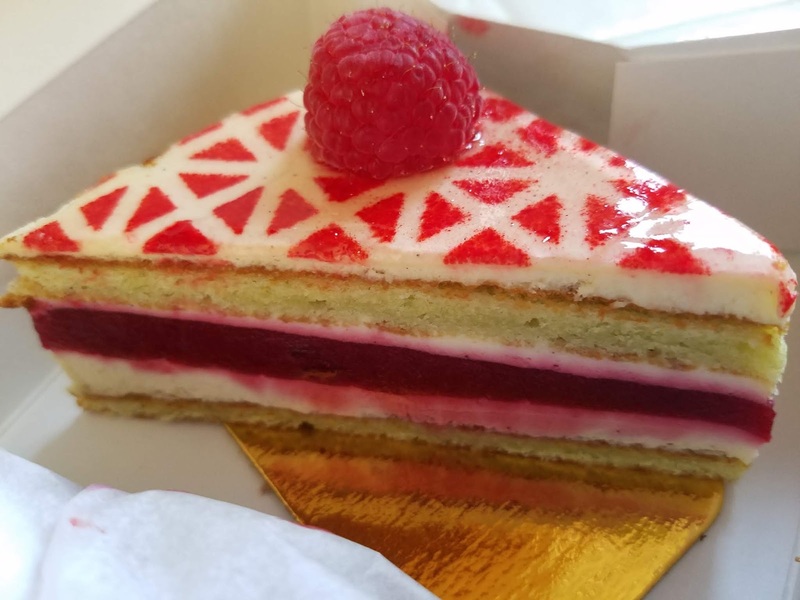 For fans of non-chocolate desserts, I highly recommend the raspberry and pistachio Emeraude, with light layers and the perfect balance of textures and flavors that are as beautiful as the design. Hmmm it’s lunch time….I may have to have dessert first if it is made by Patrick! 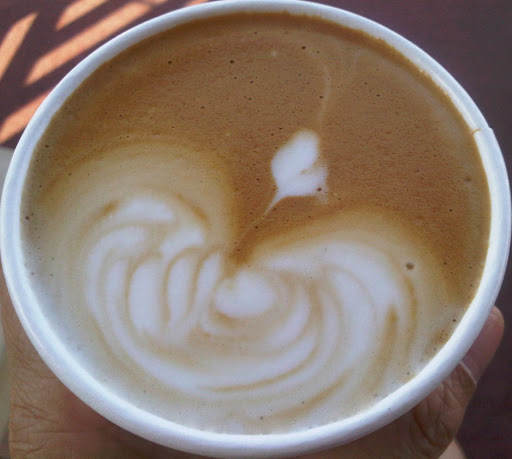 Dominique’s Kitchen in Redondo Beach is far enough away from the water to put their money into their food instead of their rent, and with their very low corkage fee of $10, locals are flocking to this place like seagulls. There is a tiny lot, but plentiful street parking, and the dining area is warm and inviting. Make reservations if you want a seat because even on a weekday night, it is fully booked. Some of my friends have known me since I was too young to drink (in the US) and as we have grown up, our tastes have evolved, as well as our skills in the kitchen. 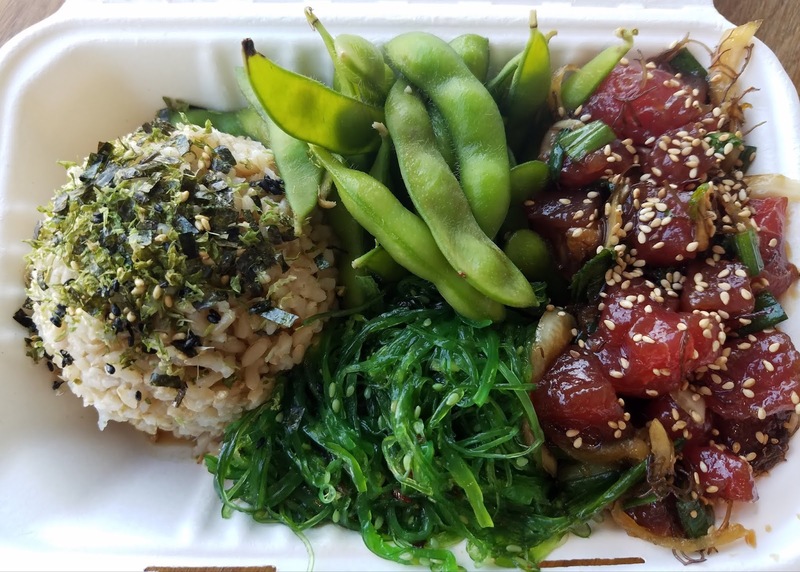 Finding a place we all like wouldn’t be difficult if we had unlimited resources, but part of the fun of eating out is finding a hidden restaurant gem that doesn’t cost as much as a car payment. Six of us ate all of the dishes below for about $40 per person including tax and tip (we brought our own wine). At prices like this, do not expect perfection; some of the flavors were muted or mangled, and the plating left a lot to be desired, but there was definitely value and some well executed dishes. An amuse bouche of kale with cannellini beans and Parmesan started off the evening. Fresh flavors using local and classic ingredients, but with an overwhelming ratio of cheese to the kale and beans. The generous serving of house made chicken liver paté was delicately seasoned and served with a nice handful of mache in a light vinaigrette, toasted baguette, and crunchy cornichons. My favorite appetizer was the lamb sausage over a bed of organic quinoa. It was well executed with a nice blend of textures and a savory accent. The garlic perfume from the escargots was enticing, but it needed a touch of coarse sea salt and I was disappointed by the lack of actual garlic pieces in the garlic butter. The salmon special was the best main course I tasted. The skin was perfectly crisp, the fish was moist and the flavor of the relish added zest to the fish without detracting from it. The filet of sole was a close runner up to the salmon, with a beautiful buerre blanc and an enormous serving! Several people ordered side Caesar salads and although they were freshly made, they were not noteworthy, but for only $2 with an entrée it was a very good value. 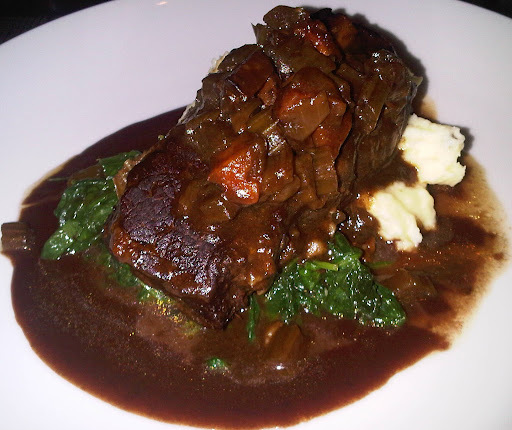 The braised short rib was the best of the meat dishes. There was depth and complexity in the flavors of this dish, and the beef was tender from the long slow braise in Pinot Noir. I ordered the lamb chops and the meat was tender, but I was underwhelmed by the garlic and thyme au jus which tasted of neither and lacked seasoning. I did not eat any of the polenta that came with this dish because it tasted like it was made with MARGARINE! The restaurant contacted me to say they do not use margarine, so if it was butter it was awful. For a place which uses local and fresh ingredients in other dishes, I was very disappointed by this incredible faux pas. Grilled steak with fries is the classic French bistro dish, and they offer the classic version, as well as a ribeye with green peppercorn sauce. The night we went there was also a skirt steak on special with sweet potato fries. The meat was done to order (very rare) and if you like a rich sauce on your meat, this would fit the bill. 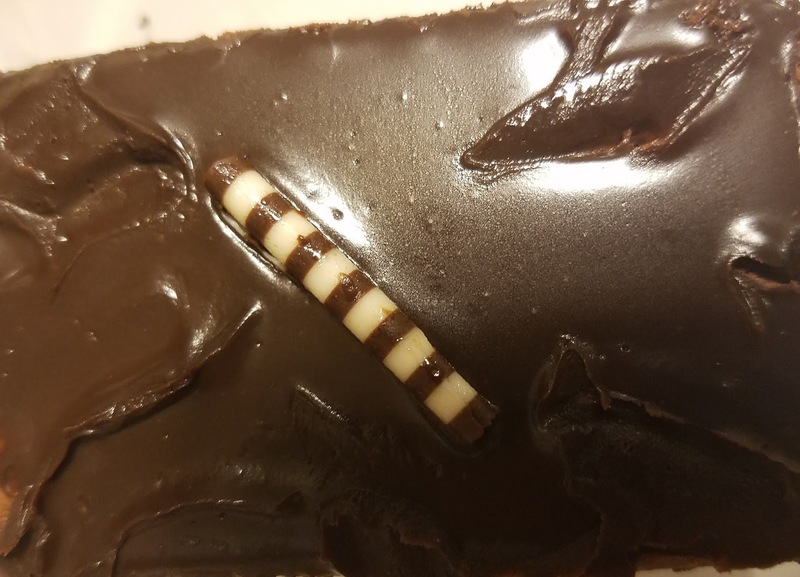 The chocolate mouse was a good choice for people who like their chocolate flavors light (since it was only $4.99, do not expect it to be made with Valrhona). Since I rarely see it on a menu, I ordered the floating island. 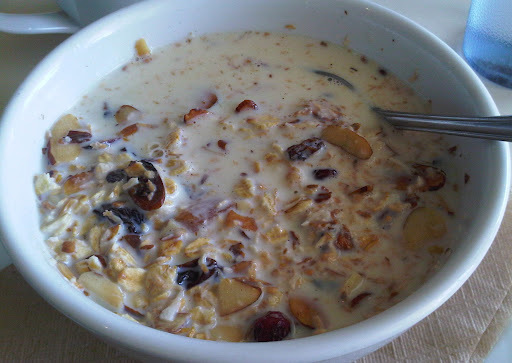 The crunch of sliced toasted almonds added nice texture to the fluffy meringue and light Creme Anglaise. My favorite dessert of the night was the panna cotta with berry compote. The fresh berries added color and tang to the smooth base, providing a good ending to a great night with old friends. Rita’s is opening today in Redondo Beach and I was invited to a sneak preview yesterday to try out their unusual blending of Italian Ices and frozen custard with mix ingredients. Italian ices were a childhood staple during the Summer in New York City. Italian Ices were as ubiquitous as hot dog and pretzel pushcarts, offering a colorful and refreshing bit of cool when temperatures and humidity climbed past the 80’s. There are two screens on the wall which show you the options available. Unlimited toppings means you can literally order all 20+ toppings in ONE Sundae! They have name brand candy and cookie mix ins. I usually don’t like custard (aside from creme brulée) and the thought of blending it with Italian ice did not evoke any thought other than “huh?” But their “Misto” was delightful with enough creaminess to satisfy those who like that texture, with enough freshness from the freshly made fruit ice to make it taste like a light milk shake (which they call a “Misto”shake made with frozen custard). 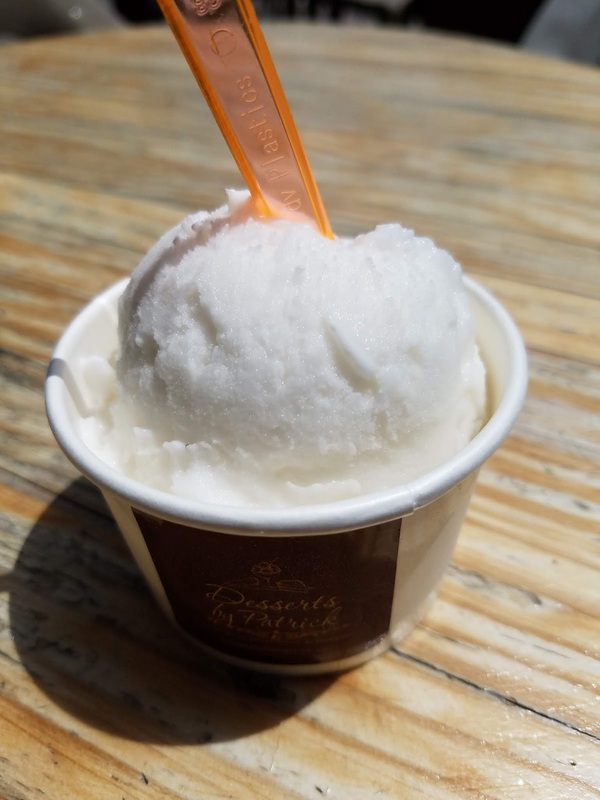 Italian Ice made fresh daily with real fruit. There is a large assortment of flavors of Italian Ice from the blue cotton candy (the one flavor I thought tasted terrible) to the Alex’s Lemonade made with fresh lemons (wonderfully refreshing). 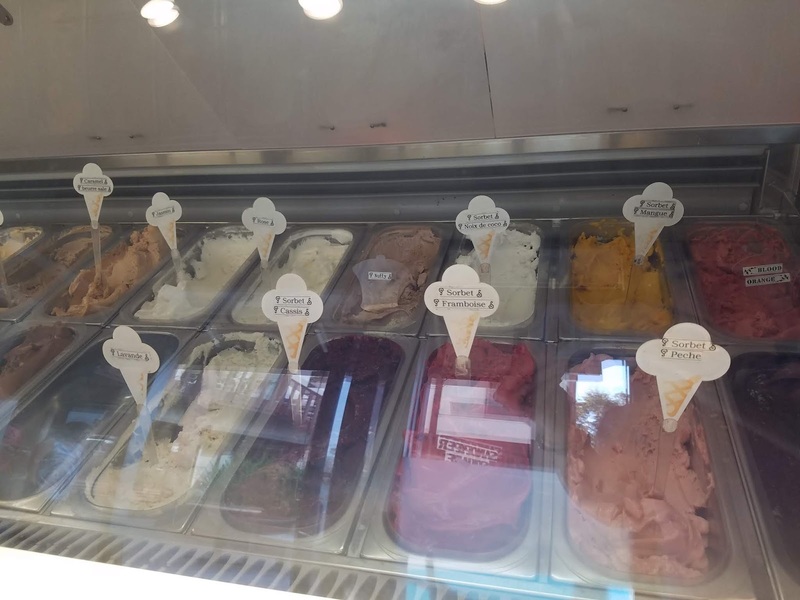 Yes, of course they have the perennial favorites like chocolate and cherry, as well as the bright yellow “Birthday Cake” which tasted just like yellow cake. If you need a birthday cake, you can get one to go. Open from 11am-9pm everyday, this is a new and easy choice for a sweet treat or refreshing break on your way to or from the beach.